This week I enjoyed working with a client honing her street photography techniques. 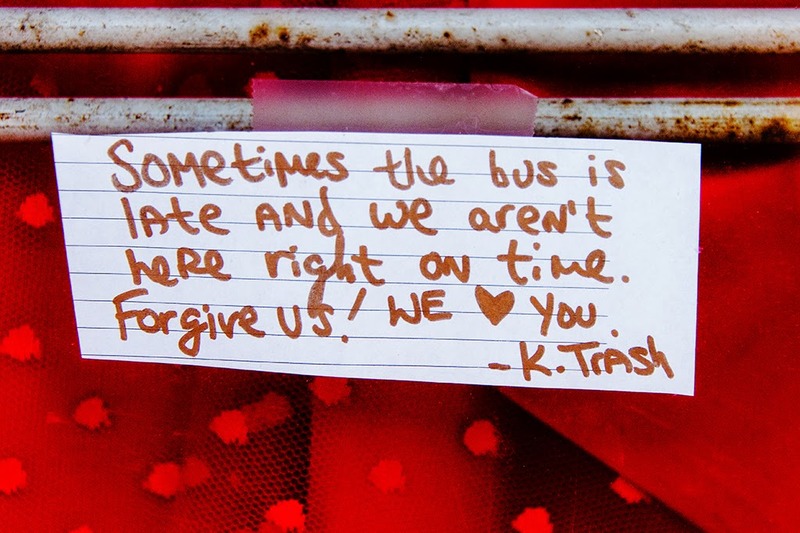 We met in Fells Point and walked mostly on Broadway. In just a few short blocks in a couple hours we had lots of subjects to work with...that is why I love street photography and there is no better place than in Fells Point! I also enjoyed watching two sessions on Creative Live with Brooke Shaden an imaginative photographer who produces creative emotional thought provoking composite works. 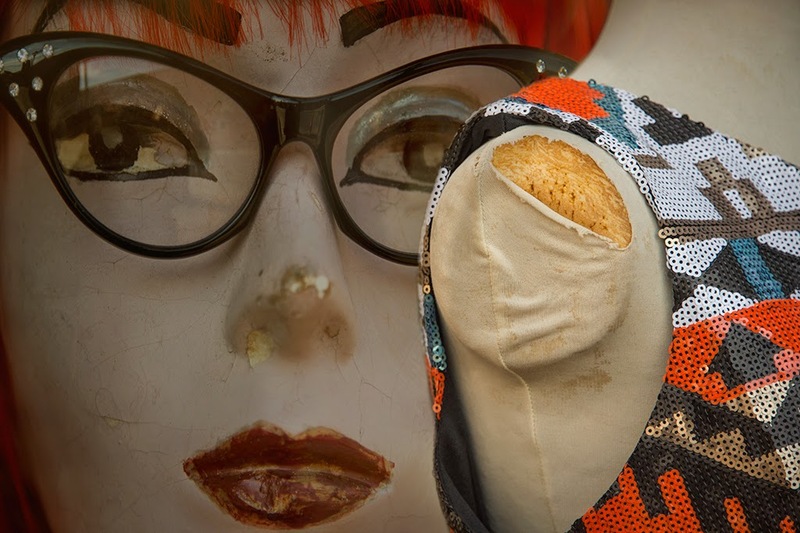 When I started working files I shot on the street I decided to composite two files, one a mannequin window shot and the other a street shot of a dress form. I used a few technical ideas for compositing these two images from Brooke's session. If you have time and can watch when its airing, Creative Live is awesome. You can also buy recorded sessions. Dare I say nothing in Fells Point is new or shiny or perfect, its gritty! 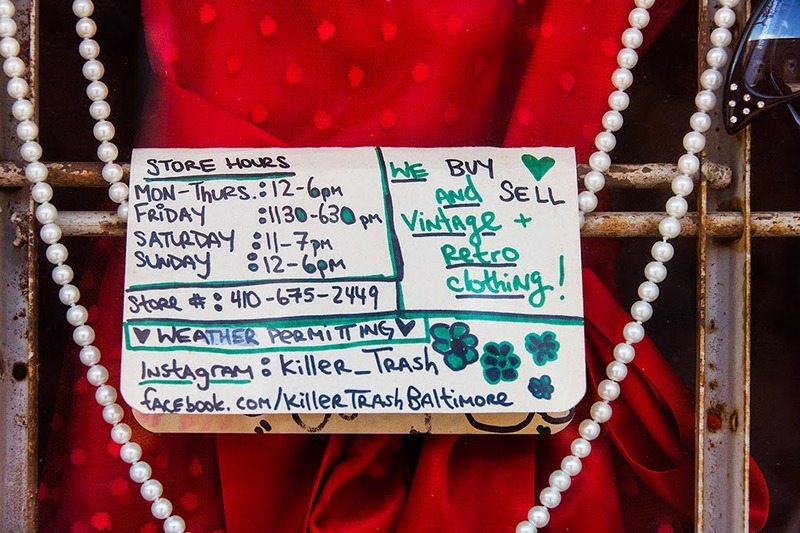 We came across a store called Killer Trash, which epitomizes the eclectic nature of the area. 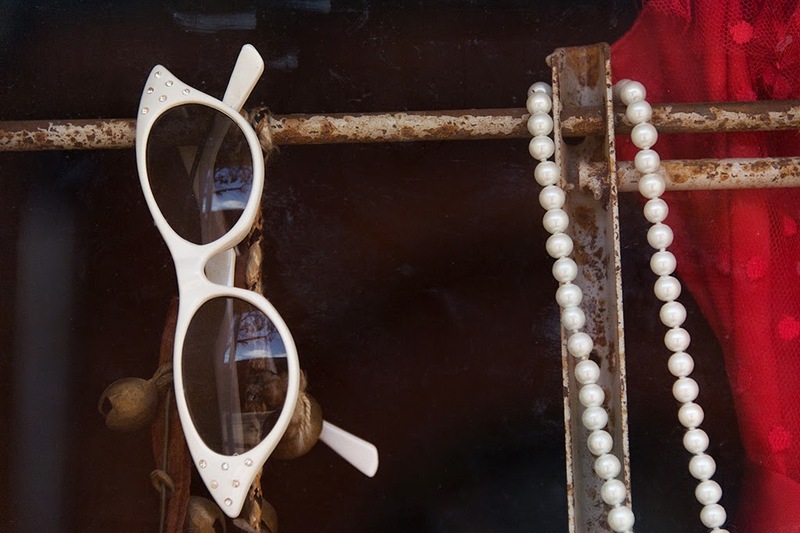 I loved the windows and the signs on the door....I mean really, where else can you find, Catseye glasses, pearls, a red dress and rust! 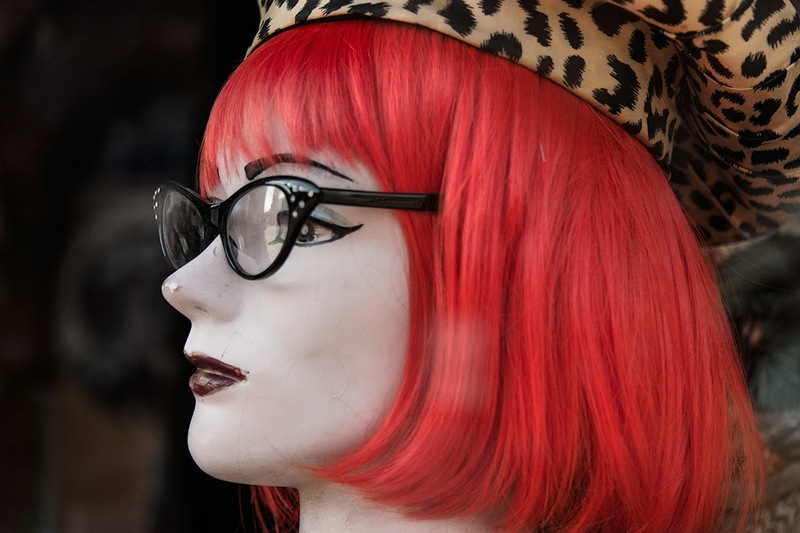 A few tips on shooting store windows.....watch how reflections and backgrounds are effecting your images, choose an appropriate aperture to manage depth of field, move around and change perspective. Pictures are everywhere!